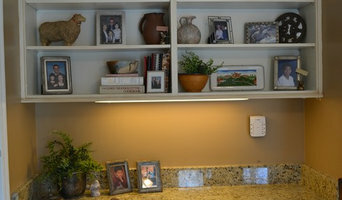 We have been in Business since 1999 with thousands of satisfied customers! We provide written transferable warranties, 90 days of free touch ups and discounted paint and supplies off of retail pricing! 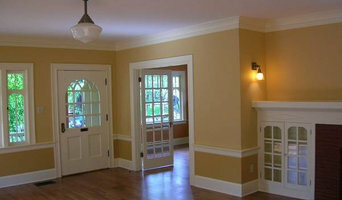 We only hire Seasoned professional Painters with a great eye for attention to detail. 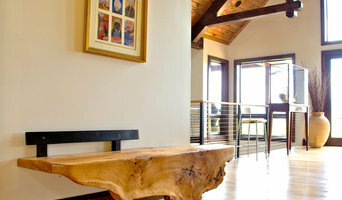 Also known as Mabel Studios we specialize in custom woodworking including furniture, cabinetry, and doors. We make one of a kind pieces unique in style and design with an heirloom quality focusing on craftsmanship. Organize Create Decorate was established in 2008 by Mint Hill resident Alicia Slayton. After over twenty years of perfecting her furniture painting techniques in her home studio, Alicia decided to open a business of her own. The move allowed her to pursue her own passion for faux painting of cabinetry and furniture, while making her services available to the fast-growing market with an appreciation for beautiful finishes in their homes. In 2013, Alicia branched out to become an expert instructor for a local paint company, The Paint Couture Collection. Today her popular classes are offered in and around the Charlotte region and across the country, as she trains paint distributors and the DIY market in a wide variety of techniques. Because painting is her passion, Alicia continues to add to her extensive and impressive skills, earning the respect and appreciation of her personal clients and trainees. Creative Iron Designs is a unique metal studio located in the Historic South End district of Charlotte, North Carolina. 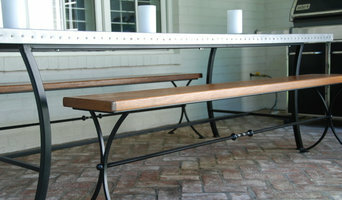 We specialize is wrought iron. We are not a "welding shop", but creative people who use welders and tools. We are passionate about what we do and enjoy creating hand crafted furnishings and works of art that add value to your surroundings and compliments your distinctive style. We have been playing with fire & metal for some time now and with a background in design, art and construction, not only do we have the experience and special tools but also the talent to handle any job - basic iron staircases and balcony railings, ornamental entry iron gates, hand forged furniture, and decorative elements and accessories of any kind. Fine craft structures in art. Prticular concentration in garden, deck, patio, and outdoor desigened structures. Majority of works are exclusive fine craft bird house structures; garden structures; and single bottle wine stands. Concrete Artisan Studio specializing in the production of highly crafted sinks, furniture elements, countertops, etc. We ship nationwide, Est. 1997. Storey Ellis offers Residential Interior Design services as well as Fine Art to the trade. For over 20 years, Joe Helms has been producing extraordinary, high quality murals and canvas pieces for museums, restaurants, stadiums, hospitals, builders and private residences. I can accommodate any style, medium or palette the client wishes to pursue. My extensive commercial and residential experience will bring the highest quality of execution to you project. Heidi is known for her mastery of painted finishes and faux techniques. Her high quality work , versatility and eye for design along with a bit adventure in trying the new will create a very distinct and personal look for your space. 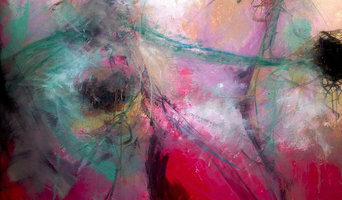 Professional fine artist creating original, contemporary abstract art for public, residential and business settings. Painting on canvas. Giclee prints on canvas and paper available.